The 2018-19 NBA season tipped off last night, and there are more NIKE EYBL alumni in action than ever. Let’s break down the numbers. 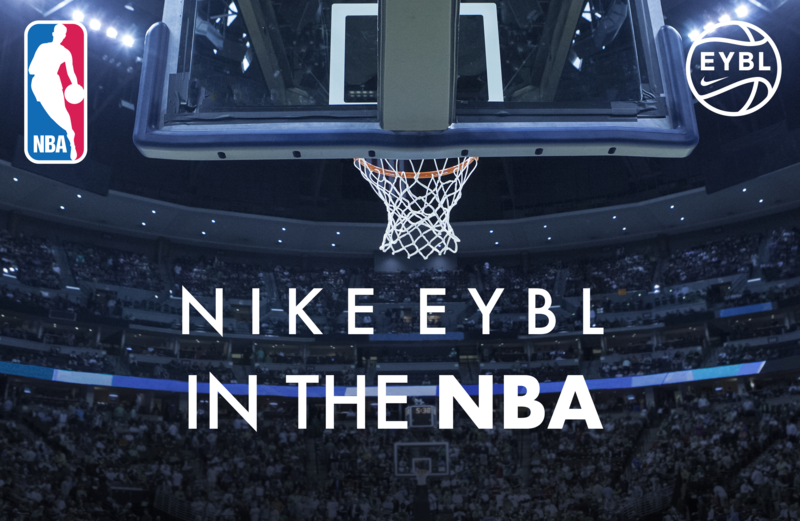 In total, NIKE EYBL alumni account for 55% (128/233) of the American-born NBA under the age of 25. In total, NIKE EYBL alumni account for just over 26% (128/488) of the NBA, with an average of 4.3 alumni on each roster. Every NBA team has at least one EYBL alumni rostered. The Atlanta Hawks & Sacramento Kings lead the way with 7 EYBL alumni rostered a piece. Houston Hoops (TX) & E1T1 United (FL) each feature 8 alumni in the NBA, leading NIKE EYBL programs. 41 different EYBL programs have at least one alumni playing in the NBA. 20 NIKE EYBL alumni are on two-way contracts.